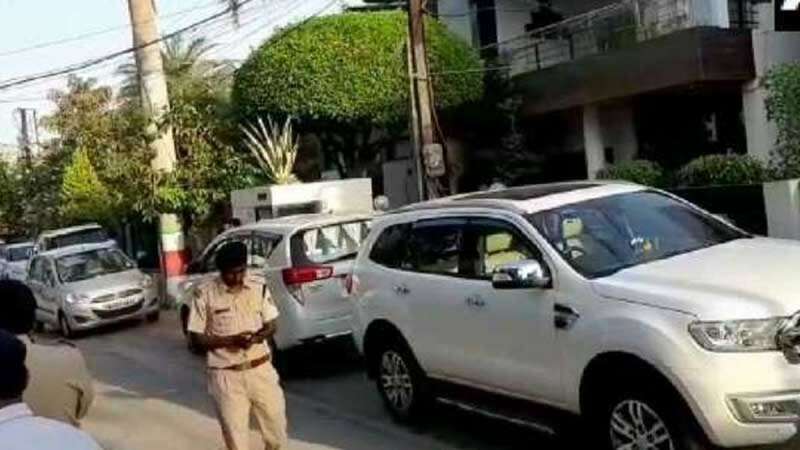 New Delhi : Income Tax Officials on Sunday morning conducted raids at the residences of Kamal Nath's aides Praveen Kakkar in Indore and Rajendra Kumar Miglani in New Delhi. The two officials have been raided under the suspicion of conducting a hawala (illegal) transaction. According to sources quoted by NDTV, a total sum of Rs 9 crores has been recovered from the raid at the residences in New Delhi and Indore. The two officials had quit their jobs last month after the poll conduct came to force. A team of over 15 income tax officers from Delhi reached the home of Mr Kakkar in Indore's posh Vijay Nagar at 3 am and started searching the premises, sources said. They also raided a showroom at the same area and some other properties. The tax officers claim that the two officials have made huge cash transactions via hawala route during election season. In the Lok Sabha Election 2019, Madhya Pradesh Chief Minister Kamal Nath is campaigning for Congress from Chhindwara.